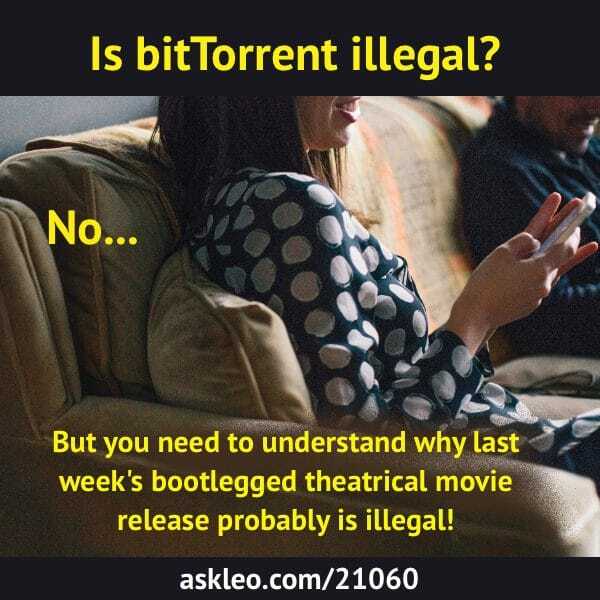 BitTorrent: You need to understand why last week's bootlegged theatrical movie release probably is illegal! - Ask Leo! Can I email myself a full length movie? - Emailing a movie file sounds like it is going to be easy, but you are certain to run across limitations set by your ISP - and it's going to be slow! I'll look at a couple of other ways to do it. How Does a VPN Protect Me? - A VPN, or Virtual Private Network, is a fully encrypted and private internet connection via a VPN provider. I'll look at what protection it offers. « Previous post: How long you keep backups depends on your risk tolerance, as well as your personal back-up scheme. Let’s explore some guidelines.